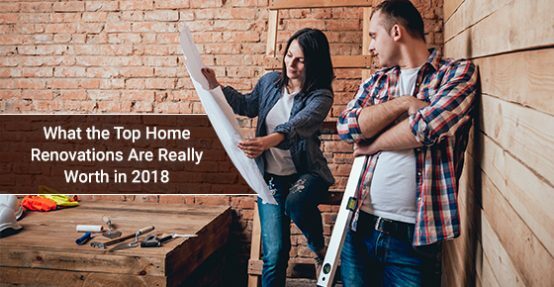 What the Top Home Renovations Are Really Worth in 2018 | Hi-Lite Electric Inc.
Do you have plans to remodel a kitchen or add a master suite to your home? You might even undertake some of the pricier home renovations of 2018. You have to watch out because not every renovation will have a return on its investment like they did in the past. In fact, Cost vs. Value Report is a home remodeling magazine. In an article, they talked about how you have to choose your remodeling projects wisely. This highly referenced annual report has now reached its 31st year in business, and researchers have highlighted the investments that have the highest ROI. This report came from canvassing the contractors on a nationwide scale to identify the upgrades that make the most sense. Unfortunately, the news doesn’t look so appealing on a massive scale because the report found how Americans could only expect a 56 percent return on their investment with most renovations made in 2018. This dropped from 64 percent in the past two years. Why this unwelcome change? In this year, a lot of expensive projects didn’t see a huge gain. The sudden change could be because of how real estate professionals have come to believe that the real estate market could be reaching its peak for market price. This means dropping boatloads of cash might not automatically mean you ride the value escalator upwards. In the report, researchers found how adding a new steel garage door to a property might earn you a 98.3 percent return on your investment. This makes it one of the best values out of all the others. Buying a new steel garage door and having an electrician help with making it automatic is a fantastic investment. In general, the people who invested more for better curb appeal often reaped the most benefit in terms of seeing a return on their investment. Internal home renovation projects didn’t have as high of a payback. In fact, most real estate professionals will emphasize the importance of curb appeal projects because of how this attracted people to look at the inside. The second best home renovations project on the list was a stone veneer, which had a 97 percent return on investment. This has currently been trending and it isn’t difficult to see why. Up until this year, Cost vs. Annual Report didn’t even include this on their list of data, which shows the recentness of this wild trend. You have a variety of choices with it, whether you want the more rustic look, or you want a chic and modern style. Matching veneers on the inside have also caught on as a real estate trend. Third on the list with the highest ROI was the wood decks with 83 percent ROI. Depending on the materials used, you can spend anywhere from $5,000 up to $10,000 or more on a wood deck. What has given this home improvement project such a return on investment? Not all wood decks were created equal. You can still usually expect anywhere from a 70 percent to an 80 percent return on your investment, but a number of factors will play a role in this. If you were to construct a 16 by 20-foot wood deck and you spent $10,050 for the professional construction of this deck and its materials, you might expect to receive a $8,090 return on it. When you compare this to a 78 percent ROI on a bathroom remodeling, you have a fair investment. If you build it with composite materials instead of wood materials, however, the ROI drops significantly. Researchers discovered how people who spent $15,900 on a wood deck had a return of around 68 percent with $10,800. The overall attractiveness of a deck played a big role in this. It’s important to understand how no two bathroom remodels will be exactly the same. Researchers found how this project often had a fair ROI of 78 percent. Home buyers love to see an updated bathroom with trendy lighting fixtures. You, however, need an electrician for part of this remodeling as well as a plumber. What materials yielded the highest ROI? As seen with the wood decks, part of getting the best ROI depended on knowing the best materials to use for the current market. Double sinks, for example, especially installed in a master bathroom had a high ROI because they provided better flexibility and convenience. You also had brushed metal faucets with fixtures and they came in multiple finishes. The materials that did well with metal faucets were nickel, pewter, silver, copper, gold, and bronze faucets. Whatever you might choose, try to aim to match the fixtures together because it looked classier. Also, you might want to opt-in for some of the luxury bonuses. This puts home buyers in a state of, “Wow!” If you could incorporate some of these luxuries like radiant heat floor mats or heated towel racks, they certainly tend to do quite well. You could also add a hand shower to your tub or shower. You want to think strategically about these upgrades to make the biggest difference. In general, the golden rule of this was to repair over add for remodels. You had an easier time replacing or repairing and returning on investment. For example, replacing an old roof or frayed siding tended to do better with the ROI over adding a new master suite or overhauling the kitchen. It’s important to note how you have to somewhat follow the trends if you want to add to your home value. You could spend tons of cash on what you believe is the perfect kitchen remodeling. However, if you have somewhat “eccentric” tastes, your ideas might not appeal to the home buyer market at large. Even if you spent $20,000 on a remodel, they might tear it out with little regard to your feelings. If you have a home improvement project that requires an electrician, you can call us at 416-800-5523. You can also contact us here.